This has been a crazy winter. On the positive note I finished the music video for the Chariot and they loved it! I cannot post it quite yet because they want to release it themselves, but when it goes up I'll be sure to post it up. If you know me just ask and I'll show you. Here is my animatic for my senior thesis. 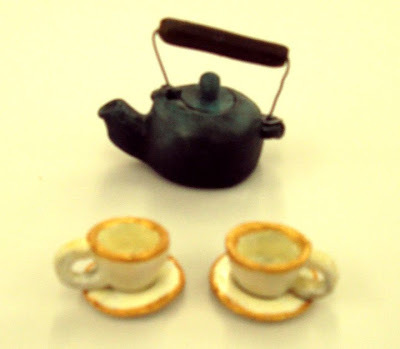 The working title is Tea For Two (any better ideas are warmly welcomed). I have all of the dream sequence animated and it is currently being colored. I really wanted a hand colored look and I think that Michael (my sophmore animation buddy) and I have really accomplished what I envisioned. Here is a little test. I started out working in my small apartment. It was cramped but I needed to start and I didn't yet have a space to settle down in. I built myself I little work bench and started working on my puppets. After I got started on my set and some of the puppets I finally found a cheap studio space. Its perfect for stop-motion. It literally has nothing except electricity in it. It gets pretty cold especially since in Kansas City the low is 10 degrees today. But its a huge space that I will be perfectly comfortable animating in once march rolls around. I also bought a drill press. It was only $90 at Harbor and Freight. This is me drilling my plates for my ball and socket armature. Like I said earlier I will devote a whole blog post detailing my (mis)adventures in making this armature and finishing the puppet. This is Michael, he is a sophomore this year at KCAI and is helping me with my senior thesis. Here he is shoting the dream sequence. This is the stuffed bunny puppet. Here is the beginning of the bird puppet. As you probably have guessed this puppet is a bit more complicated than the bunny. Below are all my props.